A model of a prehistoric Cycad tree. A Cycad tree from Collecta. Model stands 12" (30 cm tall), and is great for helping create authentic prehistoric scenes. A super model of the horned dinosaur Achelousaurus. A famous horned dinosaur from the Cretaceous. A Collecta Achelousaurus. A fantastic model of Afrovenator, a predatory dinosaur that lived in Africa. An Afrovenator dinosaur model from Collecta. A high quality, hand-painted model of the huge Jurassic meat-eater Allosaurus. A fierce carnivorous dinosaur.This Allosaurus model is supplied with its own dinosaur fact sheet, written by the experts at Everything Dinosaur. Model is part of the Collecta dinosaurs Procon dinosaurs model series. A highly detailed model of the long-necked dinosaur Amargasaurus. This hand-painted model of the dinosaur Amargasaurus comes with its own fact sheet that has been written and produced by the dinosaur experts at Everything Dinosaur. A super quality model from the Procon dinosaurs and Collecta dinosaurs ranges. A hand-painted model of Ampelosaurus. A Collecta Ampelosaurus dinosaur model. A highly detailed model of the armoured dinosaur Ankylosaurus. A beautiful, hand-painted replica of Ankylosaurus a plant-eating dinosaur from the Late Cretaceous. A super quality model from the Procon dinosaurs and Collecta dinosaurs ranges.Supplied with Everything Dinosaur fact sheet, a great model for creative play. A highly detalied, superb, hand-painted model of the British dinosaur Baryonyx. This model is supplied with its own Baryonyx fact sheet written by the experts at Everything Dinosaur. Part of the Procon dinosaurs and Collecta dinosaurs model series.Model is great for imaginative, creative play. A hand-painted, high quality replica of Chasmosaurus. A horned dinosaur model - a Chasmosaurus. 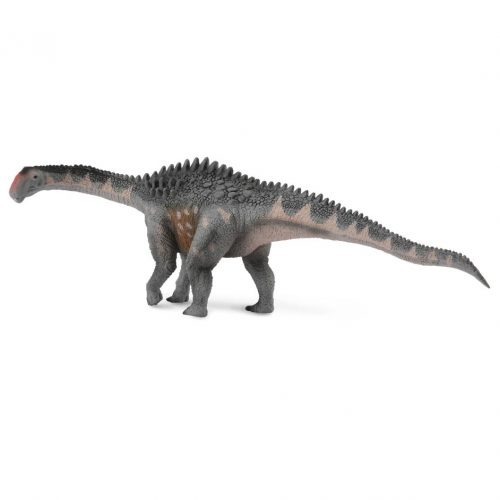 A super quality model from the Procon dinosaurs and Collecta dinosaurs ranges.